Looking for a Gibsons Spa Vacation? Well, we can help! 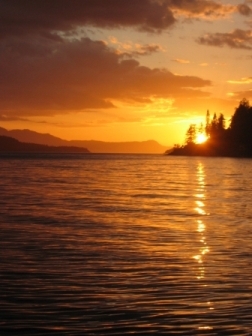 There are numerous vacation rentals and bed and breakfasts in the Gibsons area that qualify as "Spa Vacations". There are no resorts or major hotel chains in the area, so your choices are limited to private vacation homes and bed and breakfasts. Our Gibsons Bed & Breakfasts directory has phone numbers and weblinks to many local bed and breakfasts. Some of these private accommodations have in house spa services including massage, facials, esthetician services and more. Many of them are waterview or waterfront and have outdoor hot tubs as well. In suite fireplaces, soaker tubs, luxury linens and surroundings. If you browse their websites, you are sure to find the perfect Spa Vacation Package. Gourmet breakfasts, private continential breakfasts, or in room kitchens are some of the options you will find. Gibsons Business Directory has a comprehensive listing of local businesses for you to visit during your stay. Local Activities both indoor and out are plenty in the area. From strolling the local beaches or visiting one of the local restaurants for a fabulous meal, you will truly enjoy your visit to this quaint seaside community.